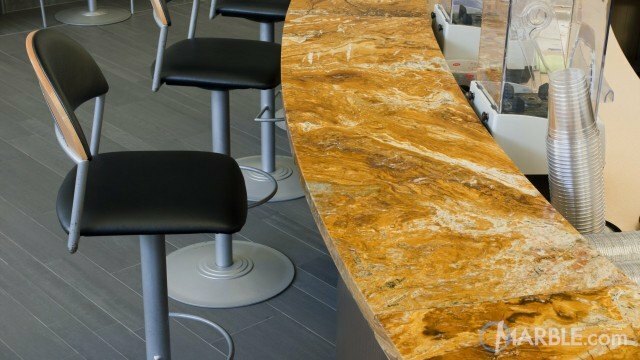 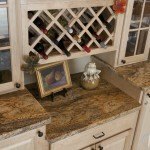 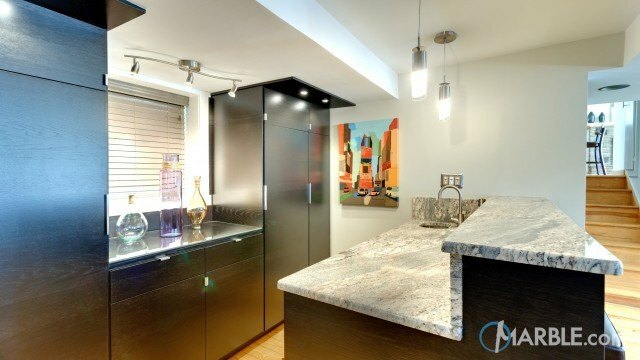 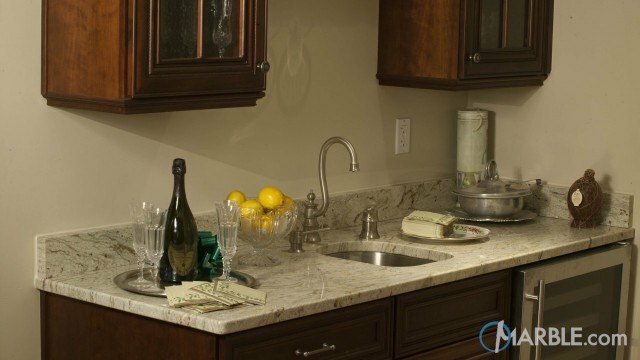 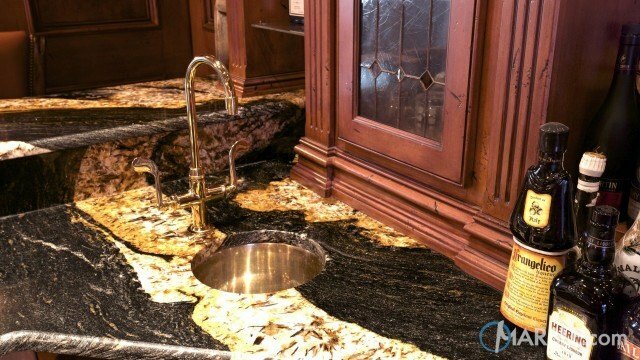 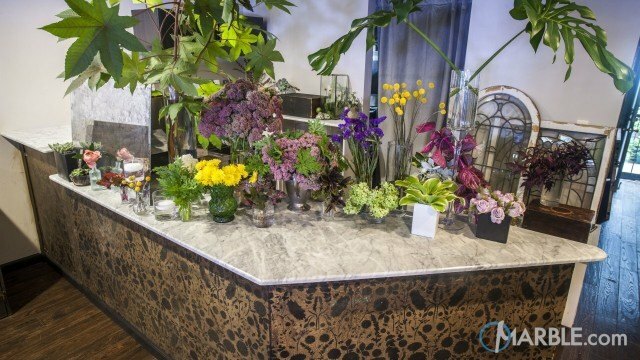 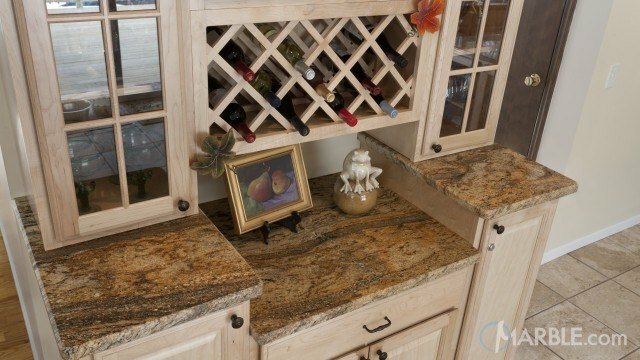 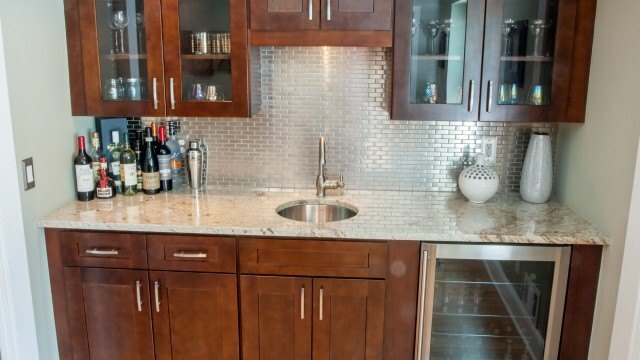 Golden Shadow granite with a 1/4 Bevel Edge makes a statement on this quaint wine bar. 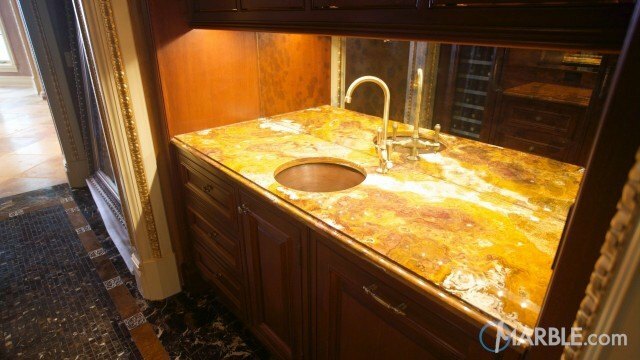 The light wood cabinet brings out the beige, brown and gold in the beautiful stone. 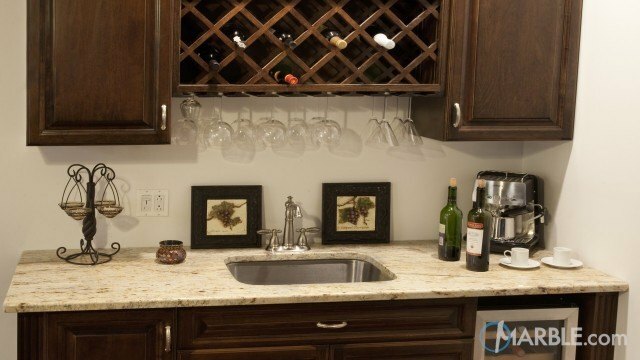 Glass front doors reflect the natural light of the room and brighten the area around the wine bar. 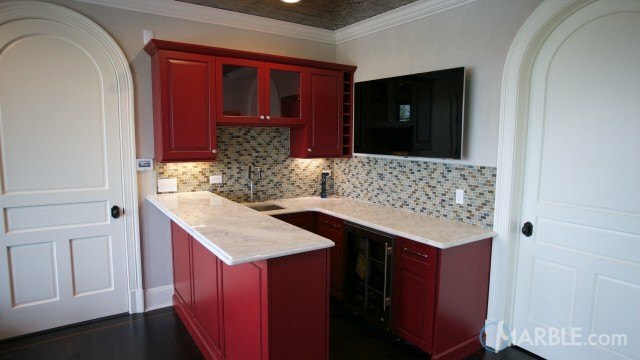 Warm red, green and orange decorations finish the look.